This FAN site houses fiction and other works for the many different characters portrayed in films and on television by the actor MICHAEL BIEHN. Please COME ON IN and take a look around. 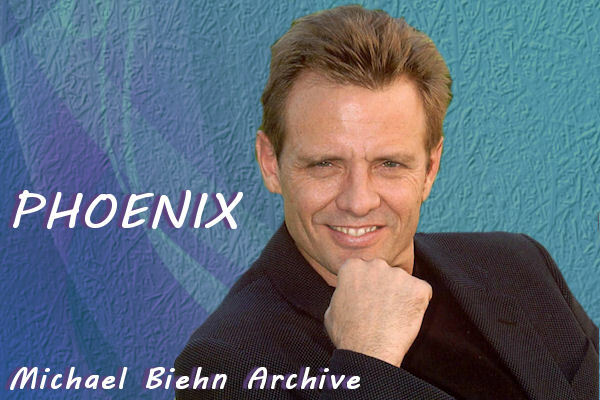 I am slowly moving the archive over into the Michael Biehn Fiction and Art collection on AO3 as it has far better features for uploading, sharing, reading/downloading stories, searching... and is being maintained by a permanent bank of staff who LOVE fandom in all its many forms. So if you notice stories disappearing off the Fiction Archive then FEAR NOT! They are not gone, just on the AO3 collection instead. I'll update individual page links on UpClose as I move forward. PLEASE CONTACT ME if you already have stories on AO3 and want to add them to either or both the MB and EC collections on AO3... or simply edit your story to post to the collection - type Michael Biehn in the collection box. The collection is moderated to avoid stories that don't feature Michael Biehn ending up in the collection but I will approve as quickly as possible. No matter how you choose to read, I hope you will consider sending feedback to the author. AO3 allows KUDOS and COMMENTS, and the old archive allows COMMENTS. It may encourage them to write even more fiction for your enjoyment. You will be pleased to know that I have automated the images/screen captures into a Coppermine Gallery. A few albums are empty at the moment, but If you do come across any broken or incorrect links then please contact me so I can fix them. If you enjoy any of the fiction or other FAN created items then please consider letting the author/artist know. It might spur them on to creating even more items for your enjoyment. While I am happy to share all I have on Michael Biehn, that does not mean I am happy for people to steal from me - whether that be my bandwidth (by linking directly to images/art I have provided) or by taking the credit for my work through plagiarism. Just remember that we are all fans here, so please be considerate. The move seems to have gone smoothly. Please report any problems to me!